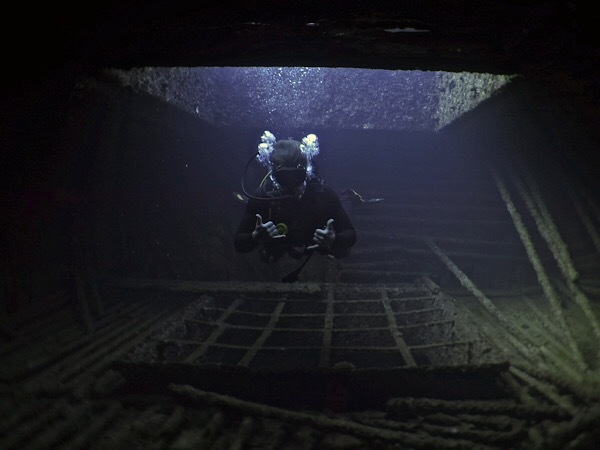 This is an advanced dive as it claims the title for deepest recreational wreck on the island. Originally a fishing vessel, this ship was sank in 1996 by a submarine company for its tours. However, shortly after the company closed and the site quickly became a must dive for locals and visitors. Large schools of pyramid butterflyfish, massive sea turtles, and white tip sharks frequent this wreck. Banzai Divers Hawaii is a small diving company that focuses on small, personable groups where divers are treated like old friends. Our goal is to share our love for Hawaiian diving and creating unforgettable memories for you. Copyright © 2019 Banzai Divers Hawaii. Developed & Powered by RiotAct Studios.